WSPR is a way of sending a tiny amount of data over huge distances using very little power. It’s used by radio enthusiasts to see what propagation conditions are like: receivers all over the world report what they hear to WSPRnet which serves as a real-time map of the radio world. The protocol itself is amazing: it takes nearly two minutes to send just 50 bits of data, and has such clever error-correction that only a tiny amount of received signal is needed to get a clean decode. Seriously, if you’re at all interested in information theory, then read the spec (at Appendix B of that link). Due to the beacon-like nature of WSPR, many people like to leave it running unattended. However many countries restrict the use of unattended transmitters. This post discusses whether it’s legal in the UK to run WSPR unattended. It’s pretty complex, so feel free to skip to the end for the TL;DR.
Do I need an amateur radio licence to run WSPR? The answer is ‘no’ due to The Wireless Telegraphy (Testing and Development Under Suppressed Radiation Conditions) (Exemption) Regulations 1989. This lets you transmit whatever you like, without a licence, in certain frequency ranges provided that the field strength is very, very low. The permitted ranges do include some of the bands on which WSPR is commonly used. However, the power limits are tiny. It would be interesting to see just what could be done with such low power, but there is an important practical limitation: the WSPR protocol requires that you state your callsign. A callsign is allocated when a licence is issued. No licence, no callsign. Bummer. OK, so I need a licence. What kind do I need? 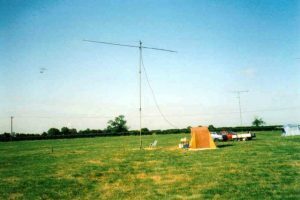 There are three types of amateur radio licence in the UK: in ascending order of difficult-to-get-ness, they are foundation, intermediate, and full. Each has its own set of privileges set out (at length) in the licence document. Even having gone through the training necessary to pass the licence exam, you could be forgiven for getting lost in the twenty-three pages of legalistic terms, schedules, notes, and tables. The Licensee may conduct Unattended Operation of Radio Equipment provided that any such operation is consistent with the terms of this Licence. Additional restrictions which apply to the Unattended Operation of Beacons are specified in Schedule 2 to this Licence. Schedule 2 is a table of frequency bands and tells us what different type of licences allow you to do with unattended beacons. The first thing to say is that under ‘Foundation licence’ there’s just a whole column of ‘Not allocated’. So unfortunately foundation licencees are never allowed to let their equipment transmit a beacon while unattended. However, read on! There might be another way. Under the ‘Intermediate’ column there are a few bands available, but some are marked ‘(1)‘ which means ‘May only be used for the purpose of direction finding competitions’, which definitely excludes WSPR. The lowest frequency band without this restriction is 23cm, and even then you can’t be in Northern Ireland or within 50 kilometers of GCHQ Bude or RAF Menwith Hill. Furthermore, as 23cm isn’t really known for its amazing propagation qualities, there isn’t a specific frequency range used by WSPR on that band. So yes, intermediate licence holders can use WSPR unattended, but only on frequencies not really suited to it. Full licencees do fare a little better. Although their column has more entries, everything below 4m has a ‘(1)‘ attached. 4m does have some interesting propagation characteristics, but there are many countries where it’s not allocated, and thus there’s no WSPR band defined for it. After that, the next permitted band is 23cm. So in other words, full licence holders can operate unattended WSPR on 4m, but there might not be anyone listening. What does ‘unattended’ actually mean? I would give ‘location’ its natural meaning: in other words, if your kit is in your house, car, or tent, unless you’re in said place with the kit, the operation is unattended. So you can be in your house asleep, with your radios in the next room, but the operation still isn’t ‘unattended’. Does my station count as a beacon? It receives as well as transmits! Note that it makes no difference whether the WSPR transmission is intended to be replied to or not: the word ‘beacon’ in the licence means only what is written in 17(1)(e). The key phrase is ‘automatic transmitting only Radio Equipment’. With WSPR, ‘automatic’ it most certainly is, but ‘transmitting only’? This depends on how you set up your WSPR station. If you set it up to receive others’ transmissions as well as send your own, then in theory you avoid being a beacon and thus also avoid the tyranny of Schedule 2… but I stress in theory. A counter-argument might be that the receiving requirement is there so that someone can send you a ‘close down now’ message, but your WSPR station isn’t going to respond to that. Without some clarification from the authorities (or a binding judgment from a senior court) it’s impossible to know what the position really isâ€”and given that a breach of this condition is unlikely to cause any real harm, it’s possible that we will never know for sure. If you’re happy that your unattended WSPR station falls outside this definition of ‘beacon’, then intermediate and full licencees can use any of their allocated bands. What about remotely controllable beacons? … the Licensee may also conduct Remote Control Operation of Radio Equipment (including, for the avoidance of doubt, Beacons) provided that any such operation is consistent with the terms of this Licence. If a full licence holder can make their WSPR station securely controllable over the Internet, they escape the restrictions of Schedule 2 because their operation is now ‘remote control’ rather than ‘unattended’. Note that the wording says you only must have the ability to control it remotely: you don’t have to have it under constant remote control so long as you have the ability to do so. Unfortunately for foundation and intermediate licencees, 10(6) restricts you to the use of radio links above 30MHz and with less than 500mW power. You can’t use the Internet to do remote control. …but you can’t use it meaningfully without a callsign, for which you need an amateur radio licence. full licence holders can use 4m (but there might not be anyone listening) and 23cm. all three types of licencee can use any of their allocated bands. This means that even foundation licencees can use unattended WSPR, and their 10W power restriction is actually pretty high for WSPR. But the legal position is not entirely clear! but foundation and intermediate licencees can only do this if they use low-power radio links for the remote control bit. I have a full amateur radio licence (my callsign is GM7OMZ), although I haven’t been active in over twenty years. I’m an IT guy by trade and I’m interesting in both technology and law. I also have a degree in English Law which helps a lot with interpreting legal documents like OFCOM licences. I do hope you found this post useful. Comments are welcome! (1) The ‘miniscule power’ stipulation may not be a barrier to productive WSPR, as many operators use such low powers. I’m one of them, operating recently at 10mW. (2) I don’t agree that you need a callsign. You certainly need to enter something in the callsign set-up section of the WSPR software, but that can be anything within the character limit. One often sees non-callsign like labels on the WSPRNET map. (3) When trying to figure out whether or not unattended operation is permitted for WSPR, then the essential aim of the legislation has to be considered. In brief, it seems reasonable to conclude the aim is to ensure that, in the event of a problem (the biggest problem from OFCOM’s point of view likely to be interference), you could shut the station down more-or-less immediately after a call from OFCOM. Being on a 2 week holiday whilst your problematic WSPR transmissions continue back in Blighty would almost certainly not meet this essential requirement of the law, and would not show reasonable actions on the operator’s part. It’s a matter of reason in the end, not whether or not you strictly should have left WSPR on its own as you nipped to town for some milk when a problem suddenly occured. The real offence would be one of putting oneself and equipment in a situation where it cannot be shut down within a reasonable time. (4) I think also one has to consider the likelihood of a problem such as interference actually arising with low power modes and equipment like that used for WSPR. I can see the potential for a normal transceiver to cause problems if an attached, unattended PC sent a rig spurious commands and suddenly started blasting out 100W continuously for a week. But a purpose-specific WSPRlite unit running a maximum of 200mW and where there is no potential for spurious commands to cause problems is not likely to be a reasonable cause for concern. (5) What I would say to the regulator and a Court is this: a large number of WSPR operators are regularly, i.e. on a daily basis, interfered with during ongoing, lawful transmission by users of other modes, from RTTY to SSB. This is a clear case of daily breaches of licence conditions and hence the law, no matter what issuing authority controls the offending stations. Yet, I’m not aware of any licensing authority or regulator prosecuting a case for these breaches. The RSGB has gone so far as to say to me in personal correspondence that WSPR users should ‘QSY’ when such stamping occurs, which doesn’t say much about their comprehension of the mode! Hi, and many thanks for your thoughtful comment! It’s been a since I wrote this so please forgive me if this reply seems a bit disjointed. I’m flipping back and forth between my original post and your comment. I’d like to say at the start that the point of my article was only to determine the legal position, and not to discuss how likely it is that someone might be prosecuted, or how serious a problem unattended WSPR operation might pose. 2. In practical terms you don’t need a callsign, but (insofar as Appendix B of this document provides a formal specification) the WSPR protocol specifies that a callsign must be used. So while plenty of people do put something else in that field, it’s not strictly WSPR-compliant to do so. 3. I sympathise with your reasoning but the legislation is specific. Perhaps what you describe would be a more sensible approach to take, but the WTA and the text of the licence are all that matters. Looking at the aim of legislation is something courts do where there is some ambiguity in a statute, or if it is silent about something that the court needs to decide, but I can’t think of a way one could put a defence where such interpretation would come into play. 4. I agree to some extent, but I can imagine a fault occurring where the software hangs in a state where it’s sending a pure tone to the keyed transmitter. Without some external watchdog to time out the transmission, you might be sending a carrier for hours before you discovered the fault. Even at 200mW under good conditions that signal could be heard for many hundreds of miles. The other day I heard someone’s WSPR station play the ‘Windows starting up’ sound over and over on the 20m frequency. It can happen. 5. And I’m sure that a court would have some sympathy, but what it doesn’t have is any discretion to ignore an offence as charged. I’d imagine the sentence would be at the very bottom end of the scale, but if you commit the offence and end up in court then it will convict you. Ian, thanks for this article. Your conclusions are pretty much in line with what I came to when trying to interperet my licence to see if I was allowed to leave my WSPR set up running unattended on HF. In the end, though, I came down more on John’s side and decided that, essentially, it’s an automatic beacon when running typical QRP power levels of maybe 100mW to 5W. In terms of interference risk, something going wrong with my equipment that results in a distorted transmision and interference may be unlikely to attract Ofcom attention. However, there is a high risk I would upset my fellow weak signal digi-mode users (around the Globe under right condx). I regularly observe transmisions on HF weak signal band segments spoiling things for other users. Hence, I only run HF WSPR if I am in the shack and monitoring my transmissions. I feel that I am complying with the “aim” of my license terms, exercising common sense and trying to be a courteous/considerate radio amateur. That all said, I am still confused – I do wonder if other amateurs are using WSPR unattended and you can now buy dedicated WSPR transmit only beacons which seem to be aimed at or encourage unattended operation. Some Ofcom or RSGB guidance on WSPR operation would be good. Interesting article. As someone who is just about to try WSPRlite I notes that the config allows for but doesn’t recommend a cw id. I’m curious that as this isn’t an encrypted mode, is the fact that my callsign is included in the data stream sufficient or should I also be using the cw id function? You don’t have to use a callsign in the WSPR transmission, just something useful to identify the transmitter. But if you do that you must use a CW ID to keep things legal. You may be using several transmitters concurrently, maybe to investigate propagation or perhaps to compare different sites, aerial types… You can put an extra digit (for example) in the’ callsign’ to sort out which transmitter is being reported. Then the WSPR transmissions don’t have a valid identification and need a CW ID. Thanks for your comment! You make a good point as it hadn’t occurred to me that the transmitter could be identified in other ways. But, to quote the WSPR documentation, ‘Because CW at 25 wpm uses several times more bandwidth than a WSPR signal, it is strongly recommended that you not use the CW ID feature unless required to do so’. WSPR allows for a /suffix in the callsign, so I suppose one could put GM7OMZ/1, GM7OMZ/2 etc… but these are invalid on a strict reading of our licence terms, and they would also force WSPR into a mode where the locator and full callsign are sent in alternate transmissions. As I understand it, the UK amateur radio licence only allows us to make transmissions directed at another radio amateur (except for CQs or when partaking in nets), not to “broadcast”. As a WSPR transmission isn’t directed at a particular recipient, doesn’t that make WSPR (or, for that matter, APRS transmissions that aren’t directed at a particular callsign) illegal in the UK? A very good point and not one I’ve considered before. Section 11(4) is the key provision which says that a station ‘shall not send Messages … for general reception other than (a) initial calls …’. It would be a stretch to say that a WSPR transmission is an ‘initial call’. However, this is inconsistent with the wording about beacons. An additional complication is that beacons are defined as ‘automatic transmitting only Radio Equipment’, but some WSPR installations have a receiver too. Frankly it’s a badly drafted mess, and the reason for this is that there is almost no jurisprudence on the subject. If a few cases went to appeal I’m sure the wording would be tightened up. So I can build a WSPR station, with perhaps a CWID beacon as well, make it solar powered and dump it somewhere to run attended indefinitely without any issues? If it counts as an unattended (as opposed to remotely controlled) beacon, Schedule 2 of the licence applies: on HF you can only use ranges in 160m, 80m, and 10m (there are other restrictions too).